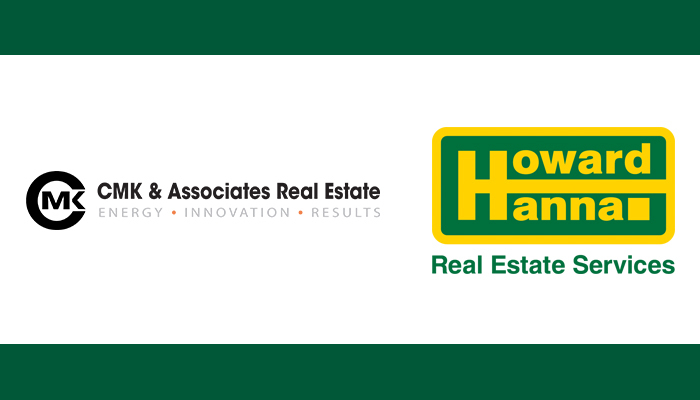 Buffalo, New York (July 25th, 2018) – Howard Hanna Real Estate Services announced on July 24 in Amsterdam, New York that CMK & Associates is now a part of the Hanna family of companies. The joining together of these two well-known and respected names means that buyers, sellers, and agents will have access to some of the best resources in real estate. CMK & Associates is one of the leading brokerages in upstate New York and in 2017, their team of sales associates produced over $104 million in sold volume. Howard Hanna is the largest home seller in the state of New York and had a closed sales volume of $18 billion in 2017. The over 60 sales associates and staff across the six offices of CMK & Associates will now be able to offer their clients access to Howard Hanna’s programs. Among those are the exclusive 100% Money Back Guarantee, the luxury Homes of Distinction program, and apps that help to create a smooth buying or selling process. Howard Hanna’s one-stop shopping will enable the team at CMK & Associates to offer comprehensive mortgage, title, insurance, and other real estate services to their clients. The Howard Hanna brand will begin appearing on signs, advertising and marketing throughout the areas now served by CMK & Associates. Visitors to the website will soon be redirected to HowardHanna.com, a powerhouse that receives an average of over 1.6 million visitors per month from the entire United States. “Through partnerships like this one with CMK & Associates, we hope to continue our position as the top choice in New York for buyers and sellers for many years to come,” said Hanna. Howard Hanna Real Estate Services is the 3rd largest real estate company in America, the #1 privately owned broker in the nation, and the largest home seller in New York, Pennsylvania and Ohio. The family-owned and operated real estate company specializes in residential and commercial brokerage service, mortgages, closing and title insurance, land development, appraisal services, insurance services, corporate relocation and property management. With 262 offices across NY, PA, OH, VA, MI, WV, NC and MD, our more than 9,200 sales associates and staff are guided by a spirit of integrity in all aspects of the real estate process. Congratulations to all involved in this merge!! That’s just one of the many reasons I am pleased to have made the choice to go with Howard Hanna!